Sea kayak instructor, monitor and guide with more than 10 years experience training kayakers with different levels. Specialised in many different types of paddles, his most notable having great knowledge on the traditional Eskimo paddle. “Instructor deportivo de la Asociación Galega de Kaiak de Mar (A.G.K.M.). Monitor Nacional de Piragüismo por la Real Federación Española de Piragüismo (RFEP). Instructor y Guía de Turismo Náutico por la Federación Galega de Piragüismo. Currently working as a freelance kayak instructor he travels a far sharing his skills. 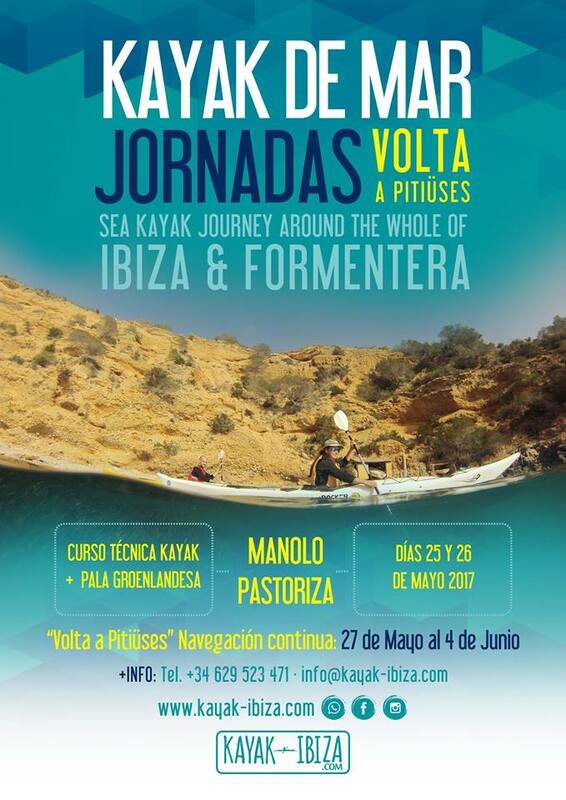 Registration for the Advanced Sea Kayak Technique course (Manolo Patoriza): €120 for those joining around the island / €140 for those not joining. The registration payment can be made online (via card or PayPal) or Bank Transfer. Once the payment has been made, please send an email with payment confirmation receipt, clearly stating “Vuelta Pitiüsas” as the concept, with Name of Participant. You must have experience navigating in a sea kayak and have an acceptable level of fitness. Not have any illness or health issues that could complicate or impede in the programmed activities. Do you need a kayak? Let us know what type of kayak you need, (individual or double), your weight and height and how many days you need it for. Equipment rental for individual days: €25 per person per day. During the 9 days paddling we will sleep on the beaches. Please call +34629523471 / email [email protected] for more info! !